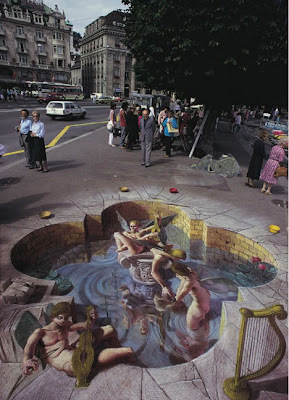 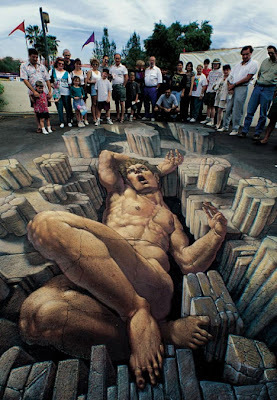 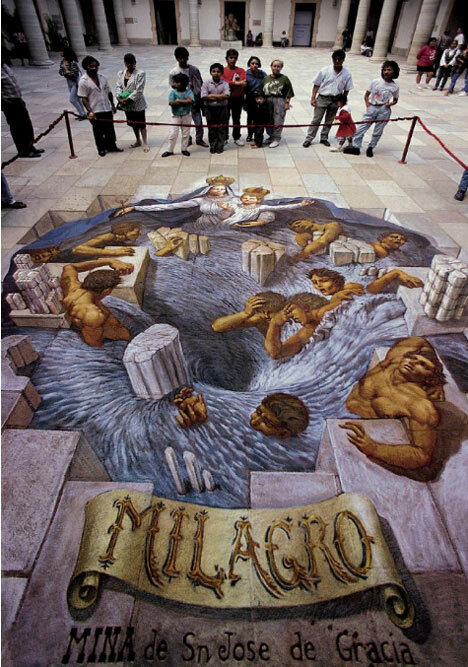 Kurt Wenner‘s ability to transform Renaissance classicism into 3D street art is unparalleled and has made him the top anamorphic street painting artist of our time. Kurt aims to “reinvent classicism for a new age”, bringing his talent for realism to the streets, literally, having invented a pictorial geometry that corrects the specific distortion caused by viewing his street paintings at an oblique angle. 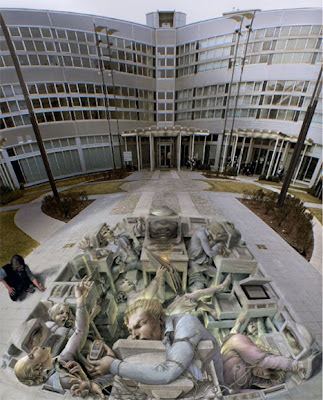 A former NASA illustrator, Kurt has had his work featured in a lengthy list of articles, television features, ads, and documentaries.